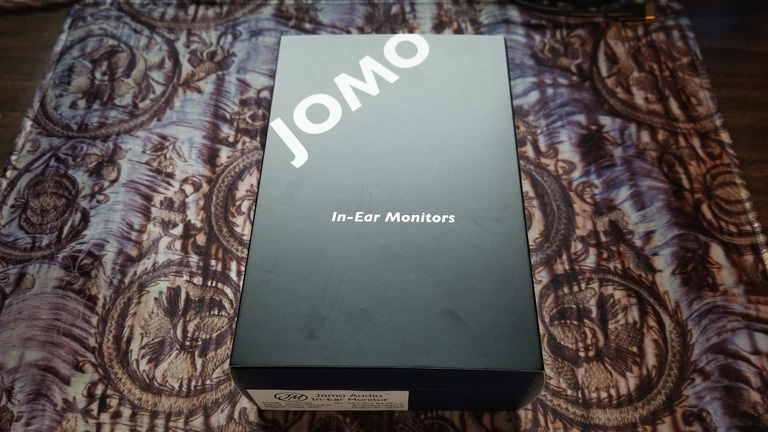 JOMO provided Quatre free of charge for the purpose of my honest review, for good or ill.
Last year I received a Facebook Friend Request from Joseph Mou. If I don’t know who you are, and you don’t send a message explaining the request, sometimes I simply decline. Sometimes I accept. 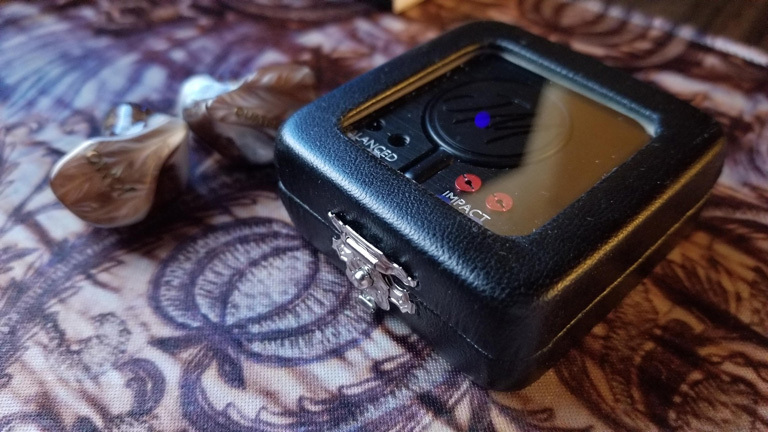 And sometimes, if I have time, I’ll click on your profile and try and figure out our connection. 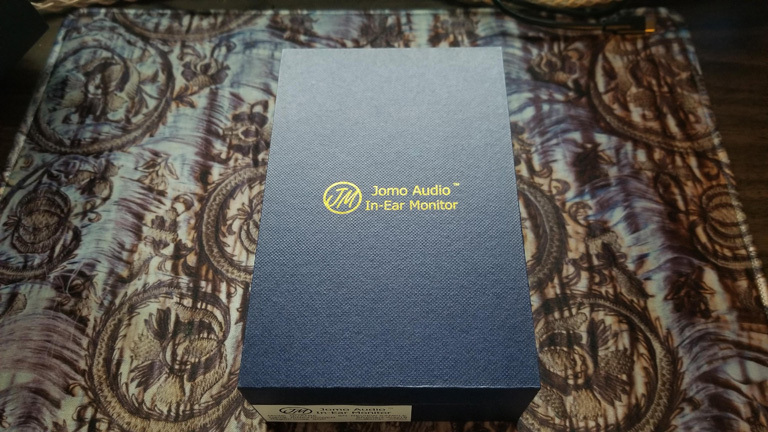 In this case, when I looked into him, I found Joseph worked for JOMO Audio. So I accepted. Then, instead of waiting around for him to make the first move, I sent a message. It was a strategic message. I worded it in such a way as to assume he was already offering me a product to review. And indeed, he had a few irons in the fire, and was looking for new reviewers to cover them. It turns out, Eric Chong of Effect Audio had dropped my name in a conversation, leading Joseph to my Facebook page. 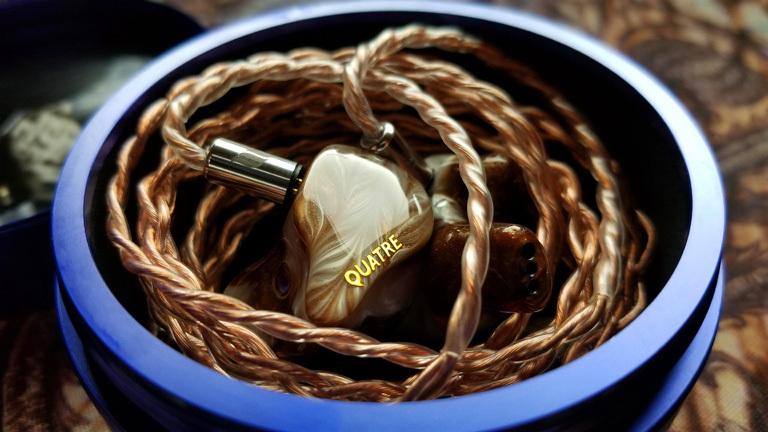 When Joseph asked about the design I wanted for my set of customs, I said, “Something organic, but impressive.” He ended up going with the standard Quatre aesthetic. Which may not sound very impressive, but when I got them in hand, they were. 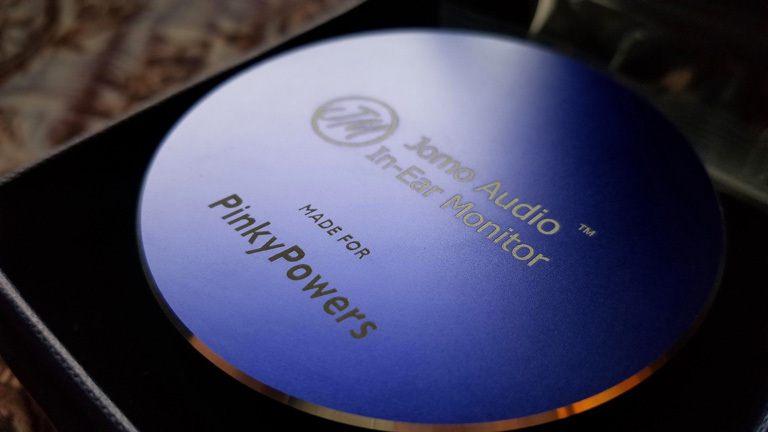 Pinky was mighty impressed. I’ve had a few CIEMs over the years, but these really blew my hair back. They are visually stunning. Even better, they fit! Perhaps the best fit I’ve ever had. No hassle, no tweaking, no learning curve. They just seal instantly and stay that way. I wish I could say that for all my customs. 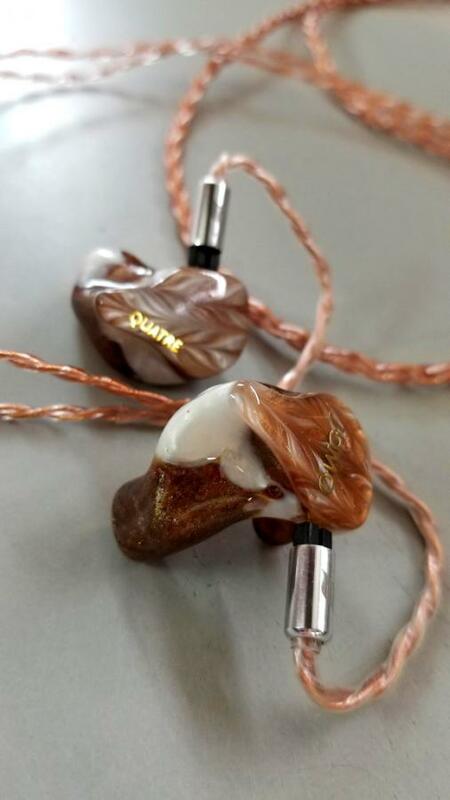 The JOMO Audio Quatre is part of the Mélange series, which consists of two hybrid IEMs. The Deux and Quatre. Deux is a two-way hybrid. One Balanced Armature, and one Dynamic Driver. Quatre utilizes a four-way crossover. Three BA’s and one DD. 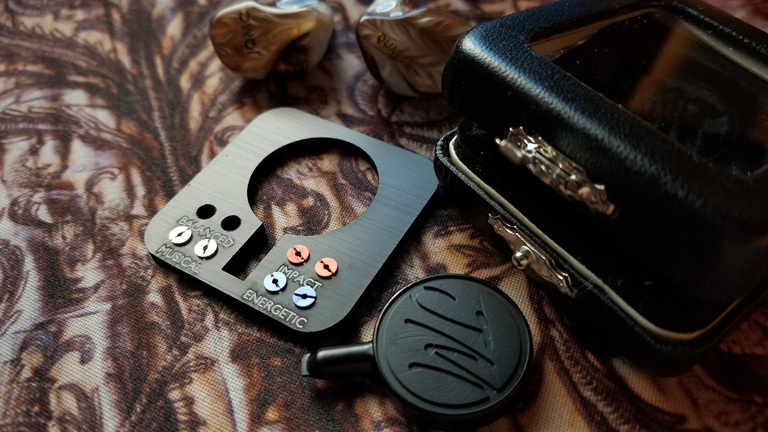 Another thing setting the Mélange series apart is the tuning filters. 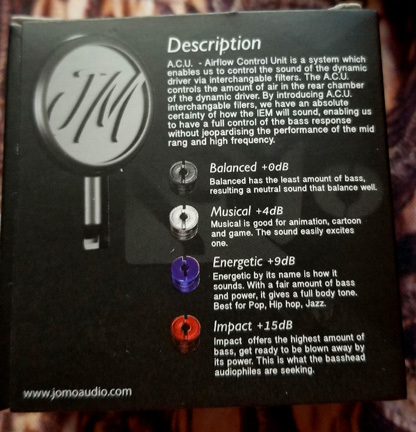 Balanced, Musical, Energetic, and Impact. Each one increases the bass presence over the last, making a more and more V-Shaped signature. But get this, even the weakest filter, Balanced, is super warm and rather bassy. There is no neutral filter. 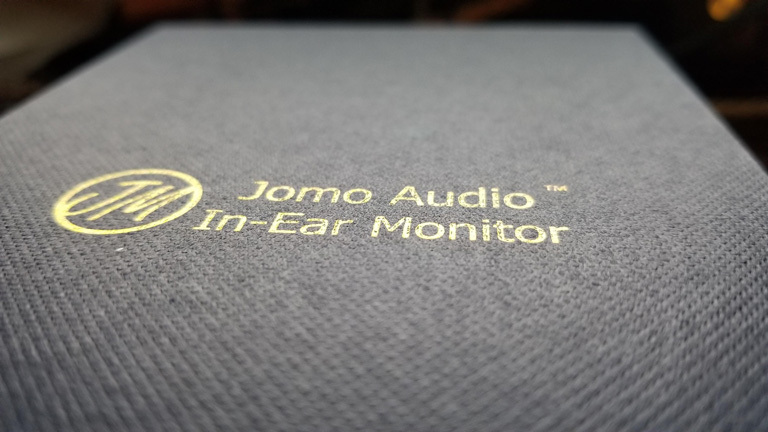 The Mélange series clearly has a purpose, and that’s to be JOMO’s answer to the basshead audiophile. 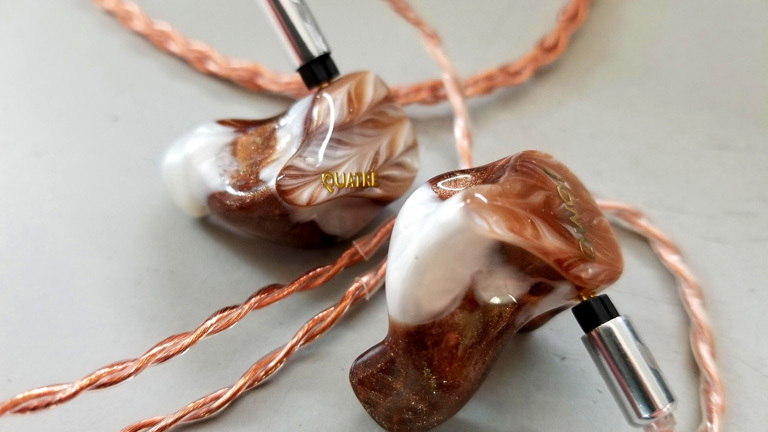 JOMO and Effect Audio have teamed up, and the UPOCC copper Ares II is provided as the stock cable. EA is taking over the world! This the third Ares II I own now. Luckily, this is wonderful cable, and should be considered an upgrade over most other companies stock cables.